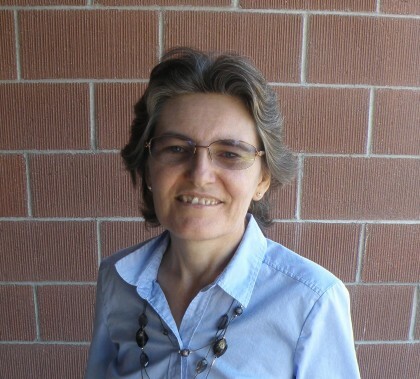 The first learner to complete the Ph.D. program at GCU impressed everyone with her efficiency, but she gives the credit to the presence of God in the process. 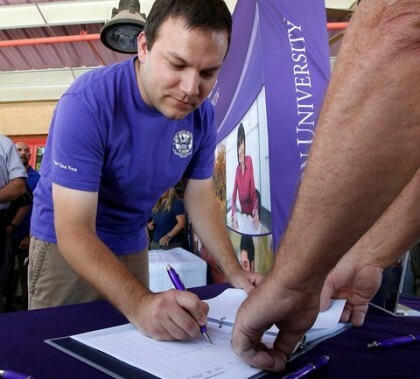 GCU’s chapter of Student Veterans of America has grown to nearly 300 ground campus members and 3,000 online. New chapter president Ben Verseman says the SVA has proposed an expansion of the campus Veterans Center to keep pace with growth. 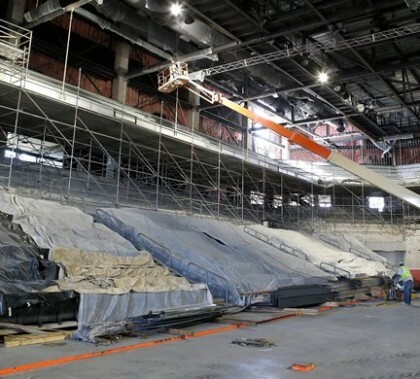 The concrete for the new upper deck at GCU Arena has been poured, which means much of the heavy lifting has been done. 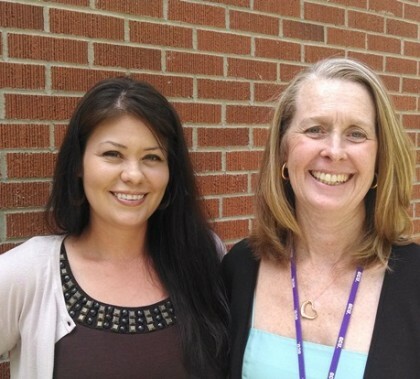 College of Arts and Sciences staffers Cherissa Chacon and Helen Howard serve as pre-science coordinators, helping pre-med students and others develop the portfolios they need for graduate schools. The Grand Canyon University Student Union received an aesthetic upgrade earlier this year, swapping its outdated beach motif for a more modern, student-focused design. The new look features images of three-dimensional, over-sized utensils, images of famous faces and giant pull quotes about food. 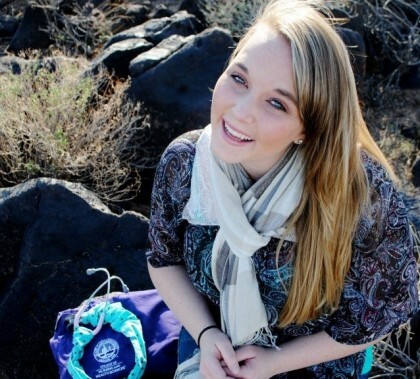 GCU alumna Courtney Mitchelle was at least 30,000 feet above Ireland, bound for Frankfurt, Germany, when a fellow passenger became ill with stroke-like symptoms. Mitchell, a nursing college graduate, didn’t hestitate to help out with the medical emergency. GCU academic admissions counselor Jackie Johnson has a lot of stories to tell from her experience as a heptathlete in the 2008 Summer Olympics. 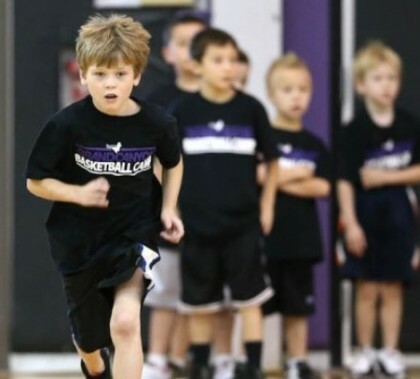 Fresh off its first year in Division I, GCU is going all-out to make its basketball camps destinations for top players and teams. 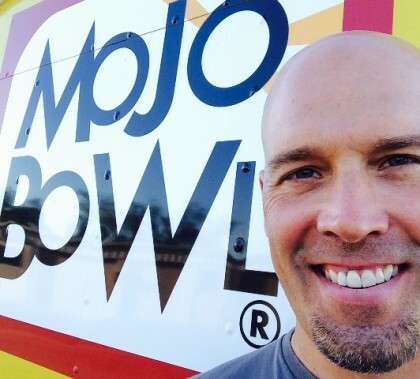 Grand Canyon University and food services provided Sodexo are working to bring local healthy food vendor MOJO Bowl and Qdoba Mexican Grill to the Student Union. 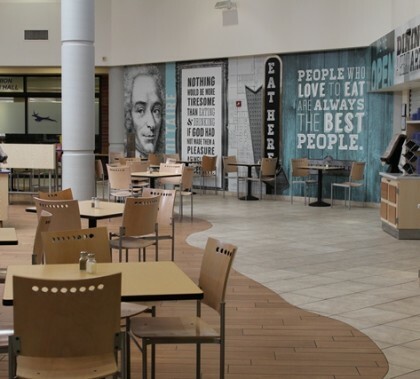 A separate healthier food option and a gourmet by-the-slice pizza spot are also possibilities. Assistant dean Maria Quimba, who oversees academic programs taught by nearly 450 faculty at the College of Nursing and Healthcare Professions, was honored as one of the Phoenix Business Journal’s “40 Under 40” community business leaders.